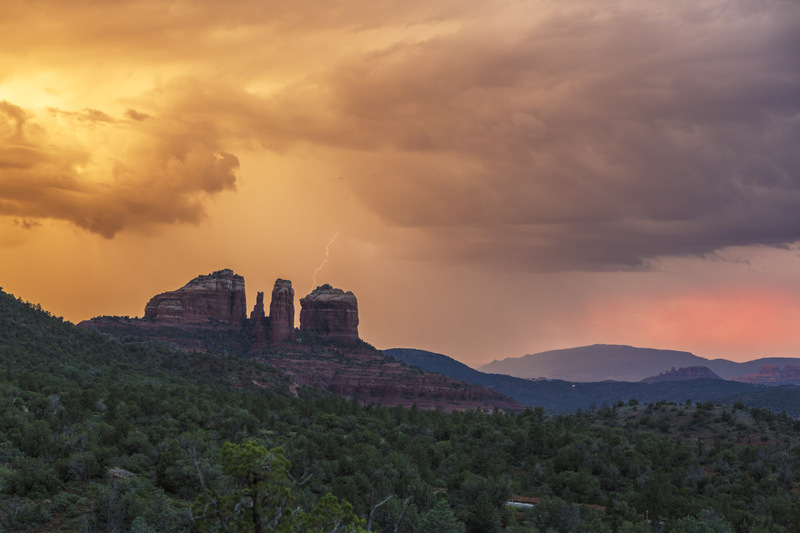 I was driving around Sedona in the evening, trying to find a scenic spot to shoot the lightning storm. Clouds were covering the sky and I was about to give up when a small patch in the sky started to glow. I found a view point on Baby Bell Rock and set up my gear. I captured a few bolts with my Lightning Trigger just as the light was most intense.